EXETER – Involved, diligent, and passionate are just a few attributes to describe Exeter FFA’s Aggie of the Month. This October, freshman Emily Farias was recognized as an outstanding FFA member by the chapter’s officers and advisors. Aggie of the Month recognizes exceptional students in the agriculture program and encourages them to strive for personal excellence. Farias is an active member of the chapter; participating in the Swine Showteam, Blue & Go! Committee, Opening and Closing Competition, and the Cotton Judging team; making her an ideal student to be acknowledged. Taking Ag Biology and Ag Mechanics, Farias says she was inspired by her uncle to join the agriculture program. “I would go to my uncle’s farm and do things like collecting fresh eggs from the chickens, feeding the cows, and riding around on the tractor and quads; and learning about aquaponic gardening,” Farias explained. In addition to FFA, the freshman is part of the local Girl Scouts organization, competes with Exeter High’s girls golf team, and is an avid archer. Farias also has hopes of becoming a veterinarian and farmer after graduating from school. Furthermore, Emily Farias would like to thank her mother for the success she’s had in the agriculture program. Farias explained that her mom plays a significant role in her activities; providing guidance and continued support through all of her endeavors. 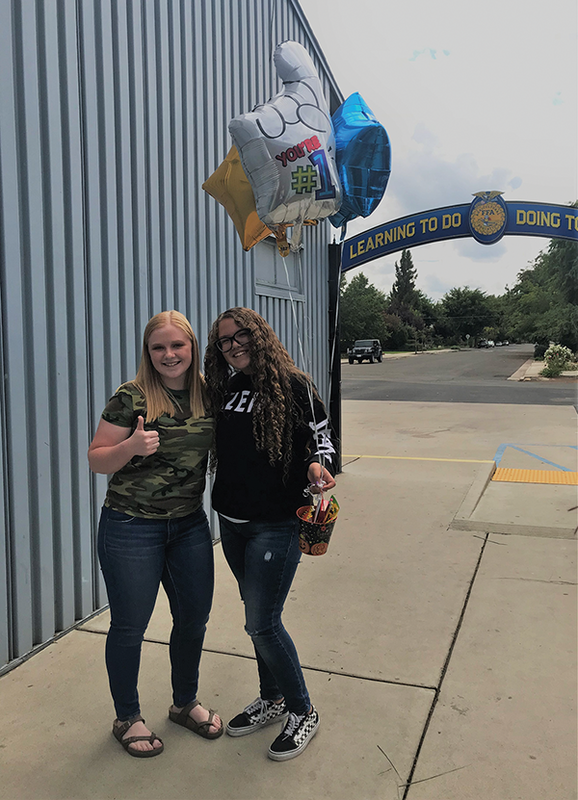 “She’s part of the reason why I was able to get Aggie of the Month; because without her, I wouldn’t have come as far as I have in the agricultural program,” she said.